This book is full of dots! And not just ordinary ones. This children's book does a perfect job comparing opposites on each page, portraying adjectives with just simple dots! "Heavy dot, Light dot, Hungry dot, Full dot". Your child will learn a range of opposite relationships with this unique, and offly witty book. Patricia Intriago, principal of Intriago Design, specializes in print and graphic design. 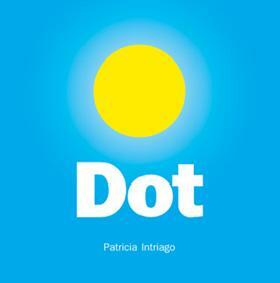 She used her creative, graphic talent to create Dot, her first children's book... And hopefully not her last!